Of all of the exhibits on site, the dolphin presentations at Indianapolis Zoo were by far our family’s favorite. Tickets to the show are included with the admission fee but show times are limited to a set number of seats meaning they do sometimes sell out quickly. 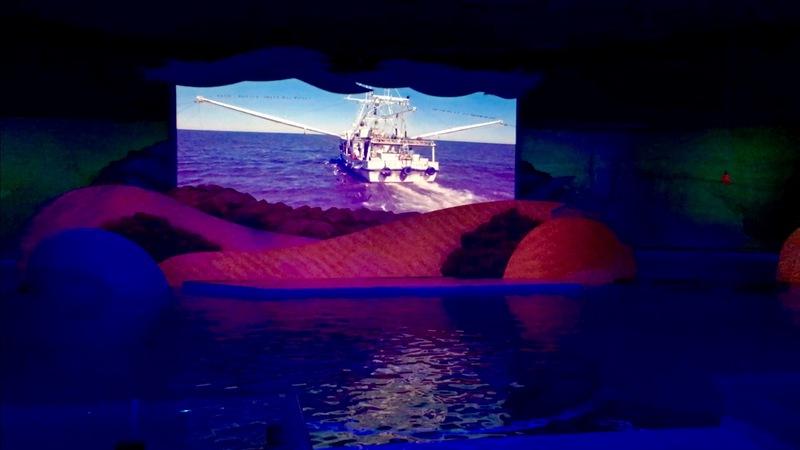 The event starts off with a short video clip that breaks up parts of the show with information about the Atlantic bottlenose dolphin, different areas of our environments including farm land and beaches, and how our world is connected. We loved that our oldest and middle walked away with questions about how everyone can contribute to making the oceans safer for wildlife. They enjoyed the show but they also took away valuable, life-long memories! 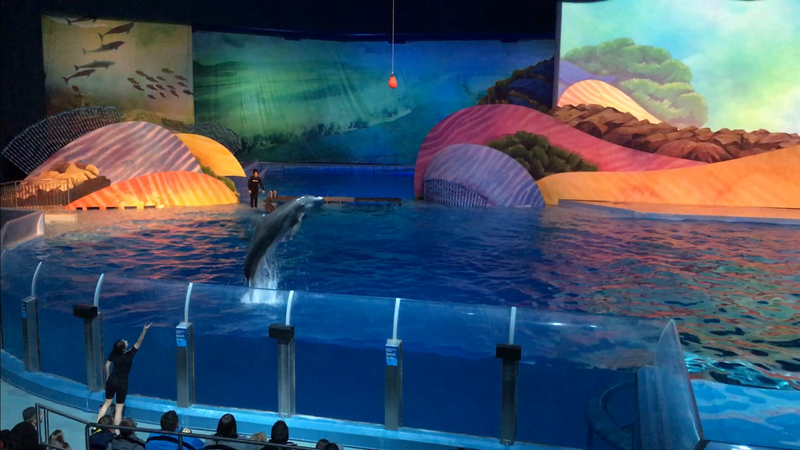 Each show is around 20 minutes long and allows the audience to see the bonds between the dolphins and the Indianapolis Zoo staff. The host of the show talked about several of the dolphins and how they came to the zoo and about how their bonds began with their trainers. It was very sweet to put the stories to the dolphins and get a better understanding for how special these amazing mammals really are. Want to know more about these amazing creatures or about the Indianapolis Zoo’s conservation efforts? Head on over to their website where they share their many projects and events. Also, be sure to also check out the Penguin Cam and Walrus Cam where you can see these amazing oceanic animals during their normal waking hours! Click here to read our full review of the Indianapolis Zoo during the holiday season. Hours and pricing for the Indianapolis Zoo vary by month and day. Please visit their official website for more information on this including a projected attendance meter. There, you can also see a full list of their annual events, look into hosting a private event, or check into pricing for group visits.